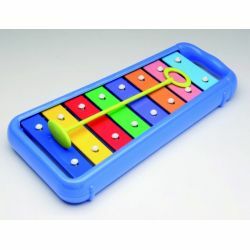 Includes A Specially-Designed Mallet (7.25” Long) and a 4–Song Sheet Of Music That Is Colour-Coded. Measures 10.75” x 5” x 1.25”. Ages 12 Months And Up.